Any 5th or 6th grade student is eligible to be on the John Greer Scholastic Bowl Team. The season begins in January and ends in late April. Starting in January, practices are held 2 times per week. Students are given a variety of informational packets that cover science, social studies, current events, math, language, literature, and the arts. They are expected to study this information at home and they are quizzed during practices. Scholastic Bowl meets begin in late February. The John Greer team competes in about 12 meets throughout the season. Most of these meets involve other Vermilion County teams. 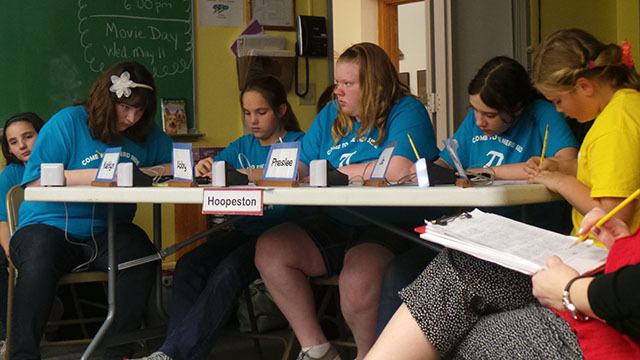 The Scholastic Bowl season culminates in a County Tournament that is held at the end of April.